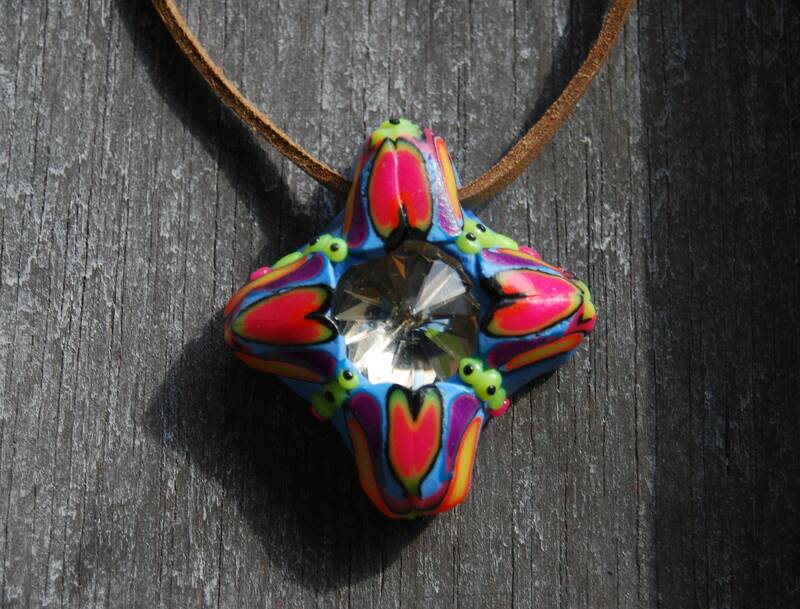 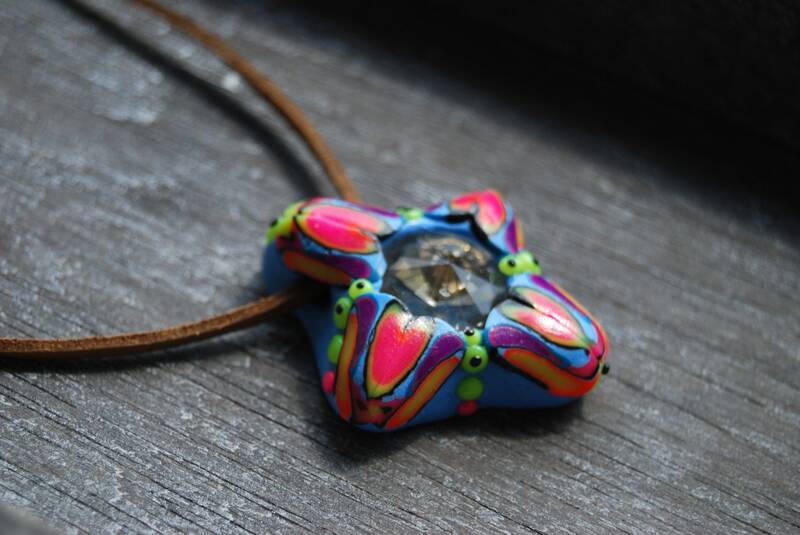 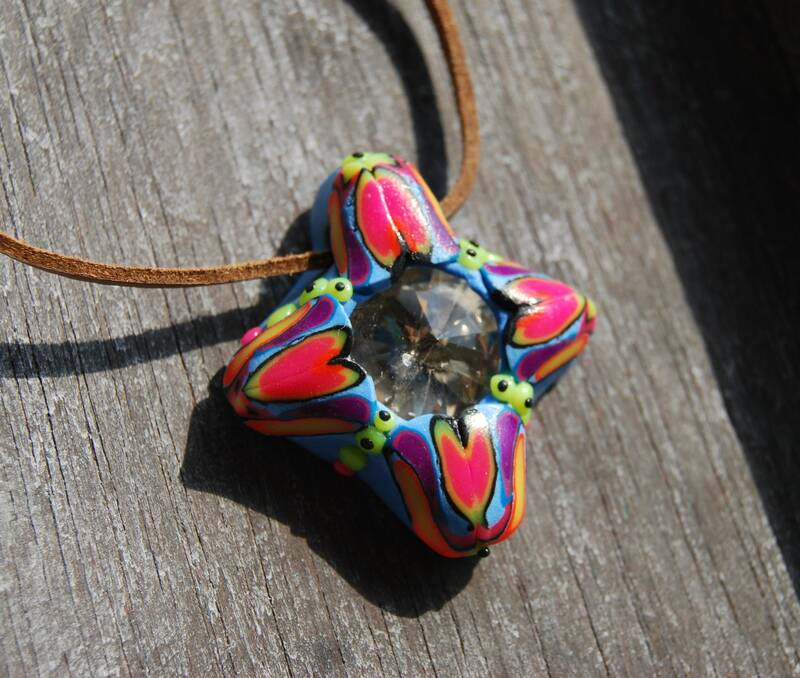 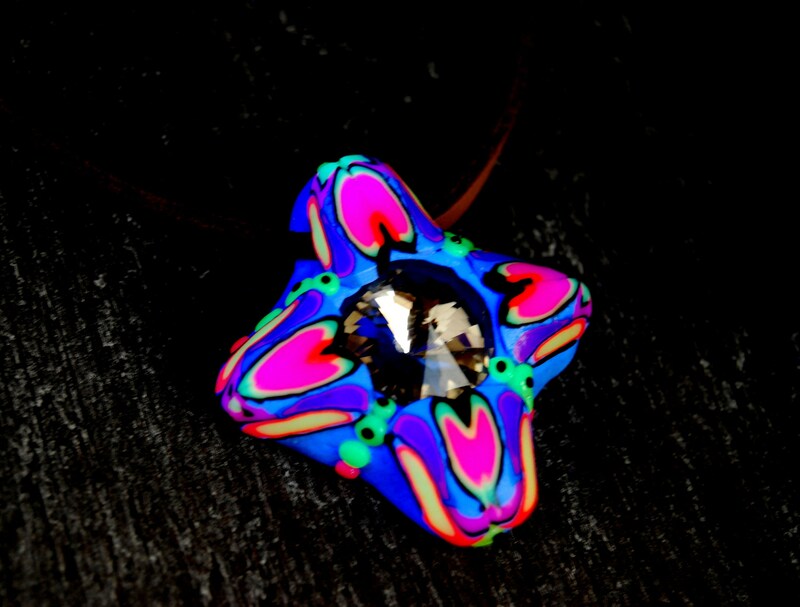 This unique pendant is made of durable polymer clay and a faceted crystal prism. 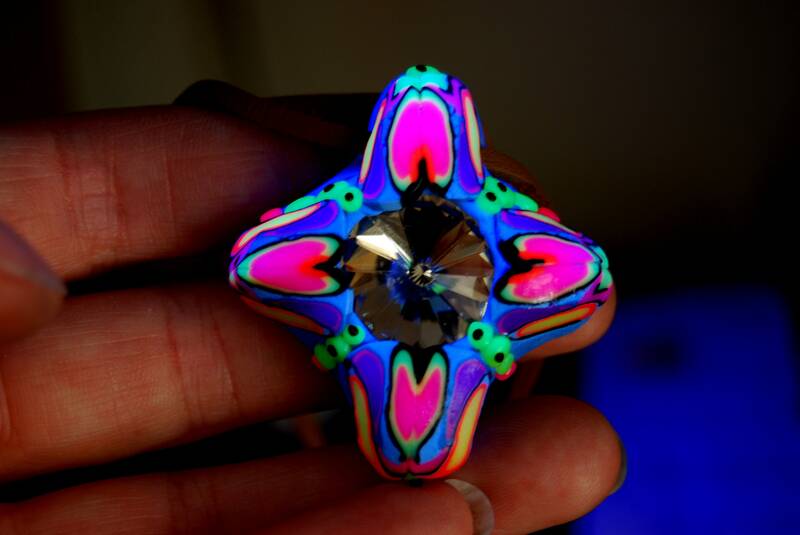 The clay glows in blacklight. 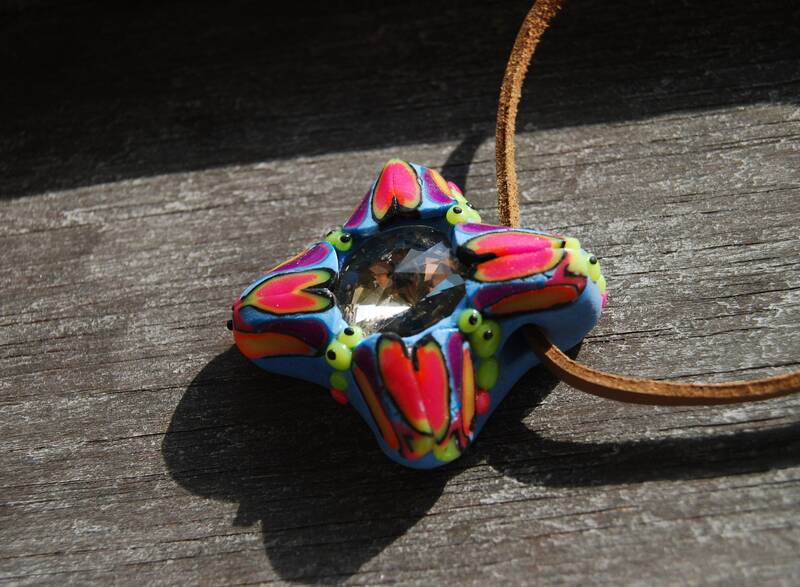 The pendant comes on an adjustable faux suede (vegan) cord. 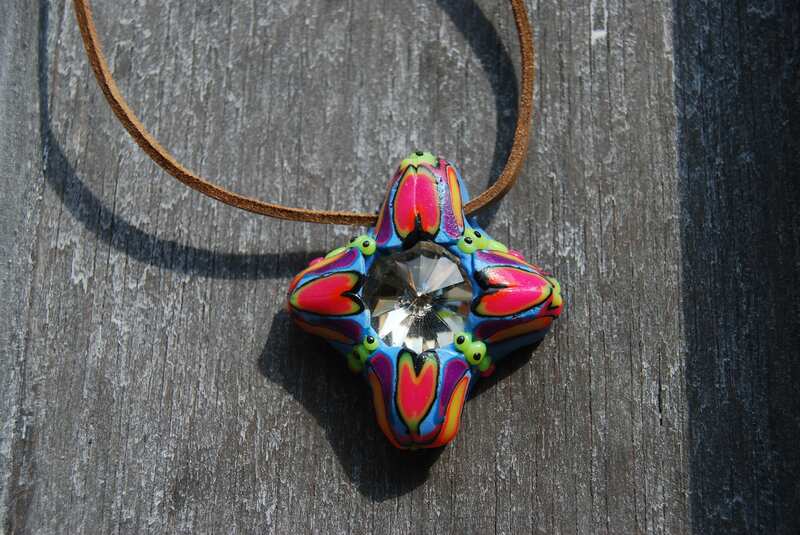 Size pendant is approx 4.6 cm (1.8 inches) from top to bottom and it is lightweight.